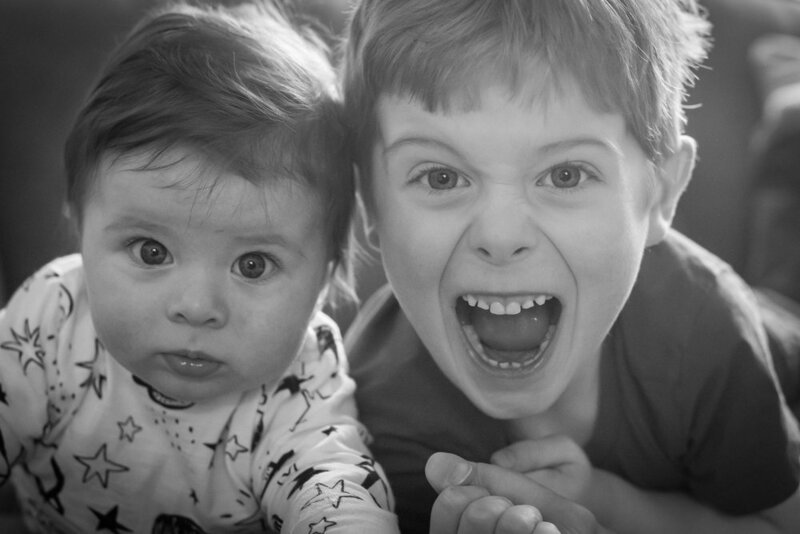 I photographed brothers, Oscar and Alfie, at their house in Cheltenham a week or two ago. Their Mum had booked me for 40 minutes and was after some natural, unposed photos of them. Older brother Alfie was keen to show me around the garden while baby brother Oscar had a last minute outfit change! We got some lovely photos of them together, which was a priority for Mum, as well as some nice individual shots. I managed to get lots of lovely smiles out of Alfie with my favourite game of peep-o from behind the camera - little ones seem to love it!